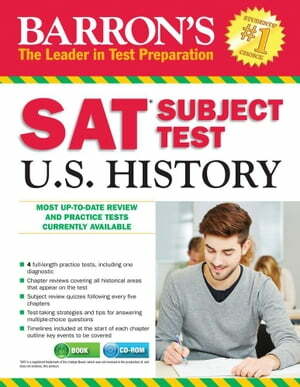 Collins Booksellers - Barron's SAT Subject Test: U.S. History by Senter, M.S. & Kenneth R., 9781438068398. Buy this book online. by Senter, M.S. & Kenneth R.
This updated edition includes a diagnostic test and three full-length practice tests with all questions answered and explained, an in-depth review of U.S. History, and more. The manual can be purchased alone or with an optional CD-ROM that presents two additional full-length practice tests.